Duncan is a senior consultant within Forrester's business technology service delivery consulting practice. He is an experienced IT service management professional who has worked in consulting, banking, publishing, and telecoms companies. As well as IT service management, he has extensive experience in information security and program and project management. Prior to joining Forrester, Duncan worked for Realising Value as a consultant, analyst, and author. During this time, he co-authored the Service Integration and Management Body of Knowledge book. 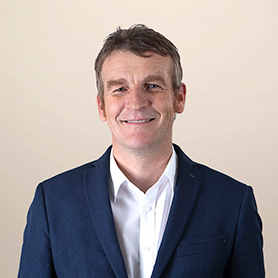 Duncan has been a lead service delivery manager within a number of organizations, implementing customer-obsessed IT operating models that deliver better business outcomes. He led the delivery of the ISO27001 security standard for BlackBerry across Europe after recognizing the unique business case within the company as it launched in new territories. Duncan holds a B.A. in politics and economics from Southampton Solent University. He also holds qualifications in DevOps, ITIL, and PRINCE 2, as well as being an InfoSec Lead Auditor.